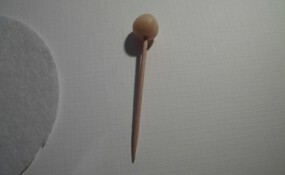 … and stick it on a toothpick. 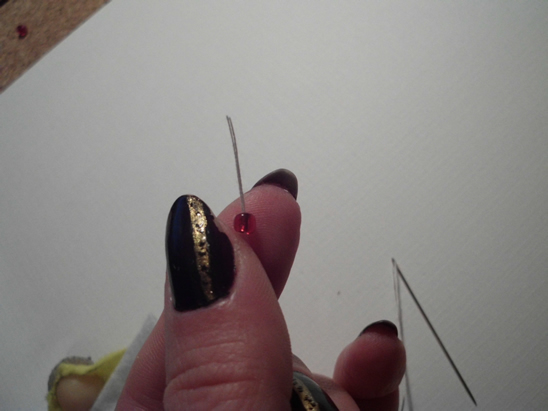 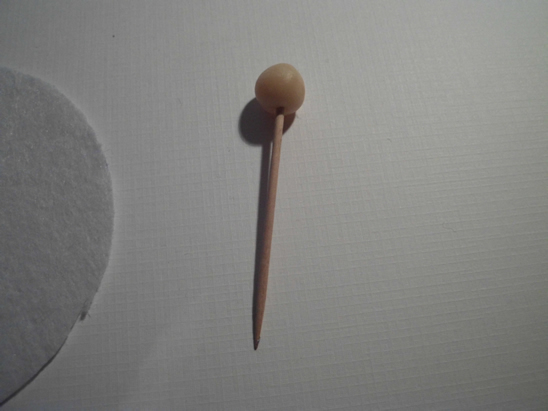 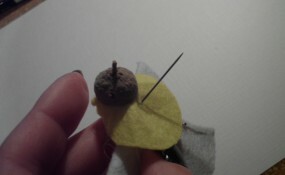 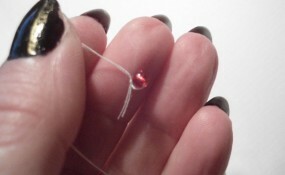 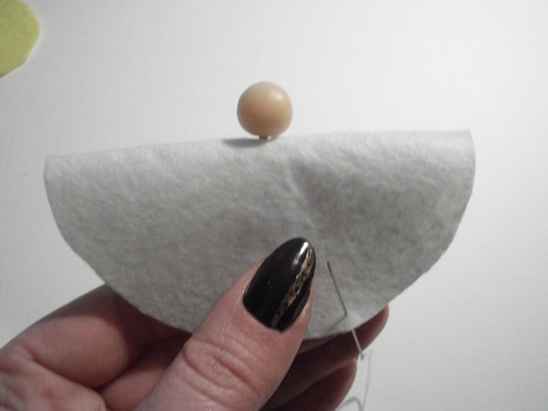 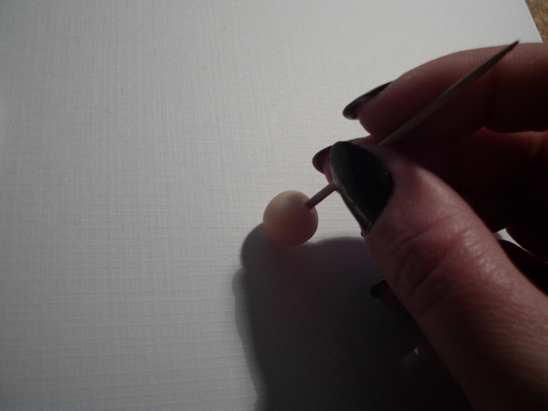 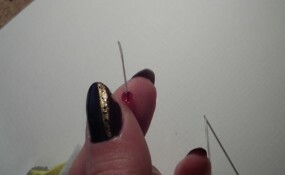 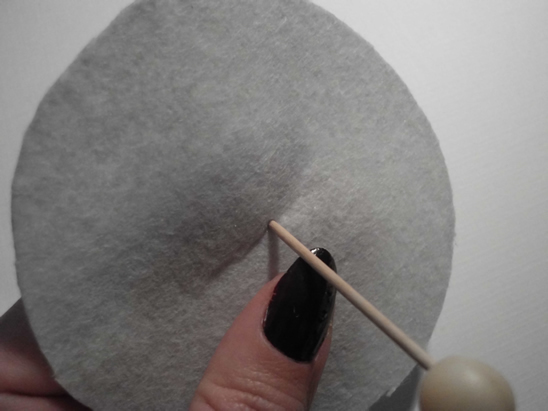 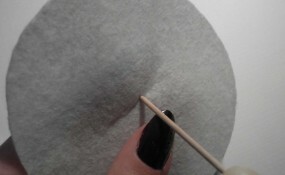 Put the toothpick through the middle of the white felt. 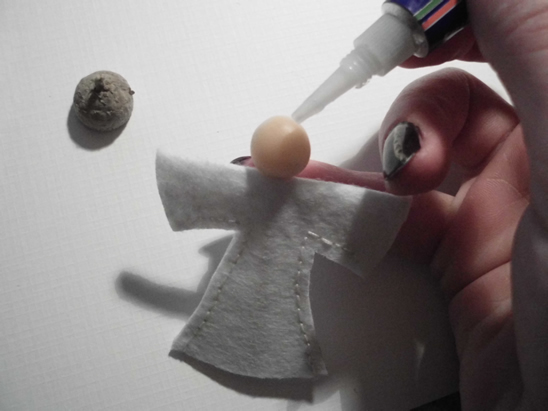 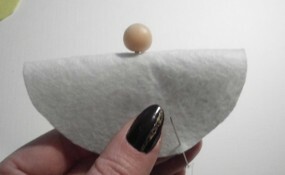 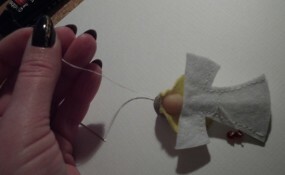 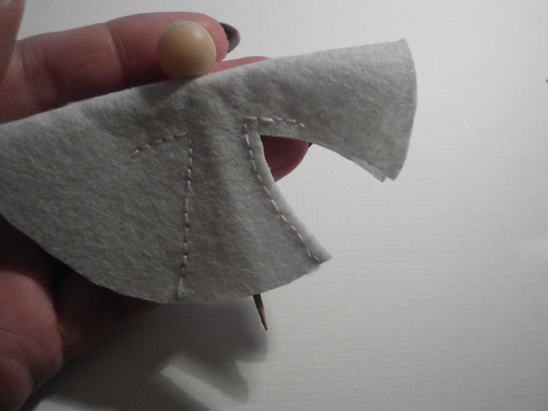 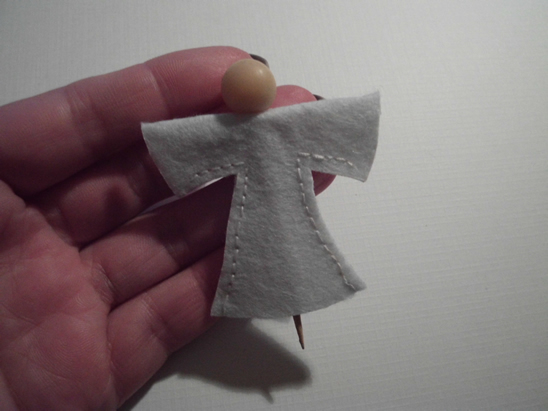 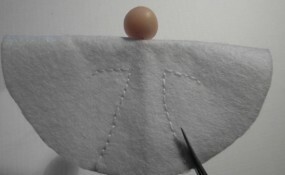 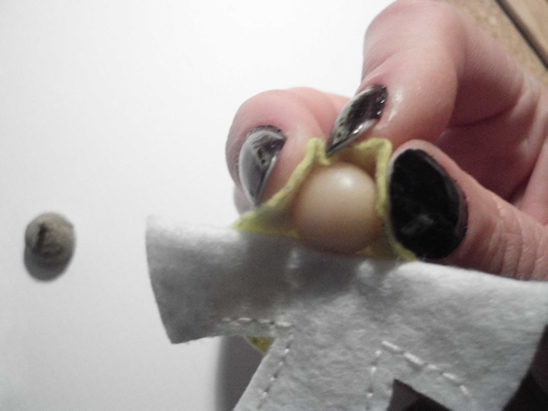 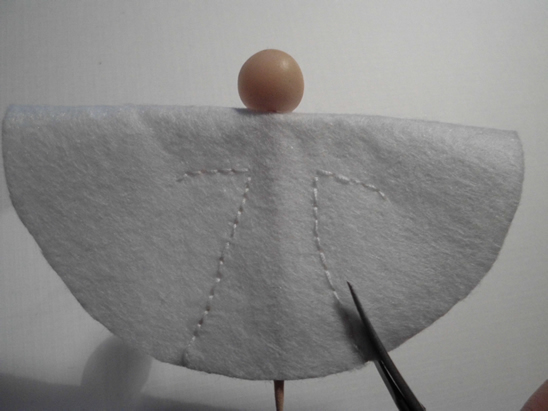 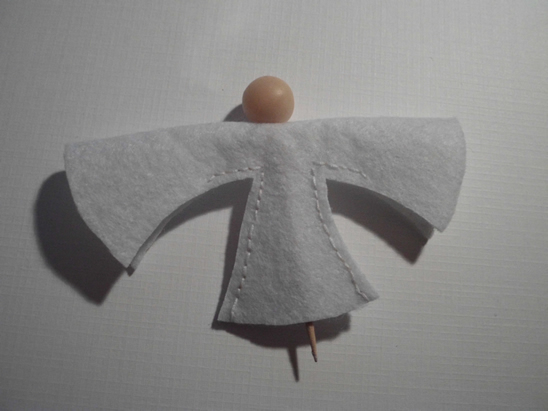 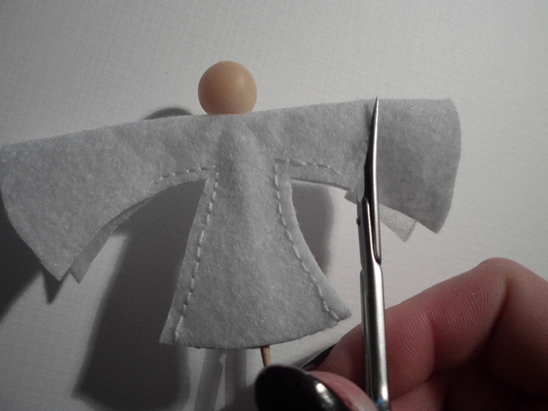 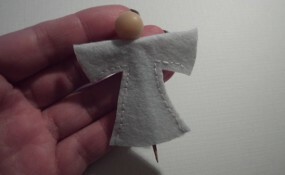 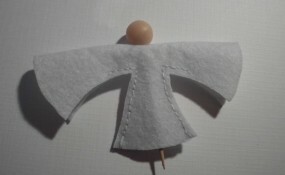 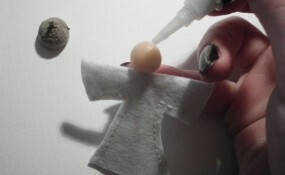 Fold the felt in half, like this, and start sewing a dress for your angel. 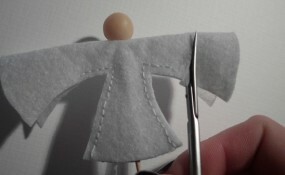 It is time to shorten the hands / wings. 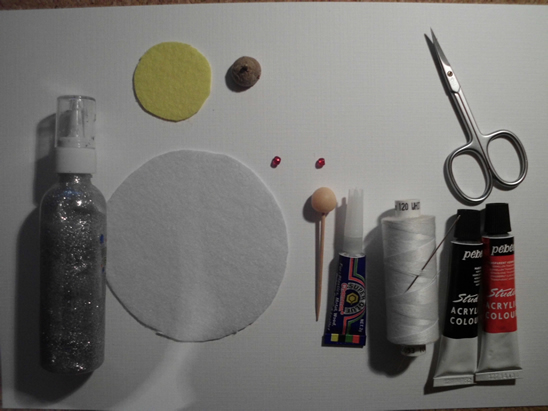 … and put the yellow disc over it, like this. 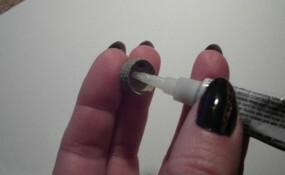 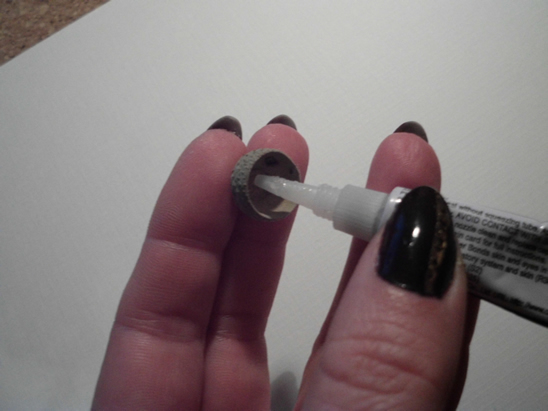 Note: you should do this quickly because the glue is fast drying. 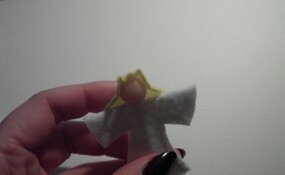 This is the angel with hair. 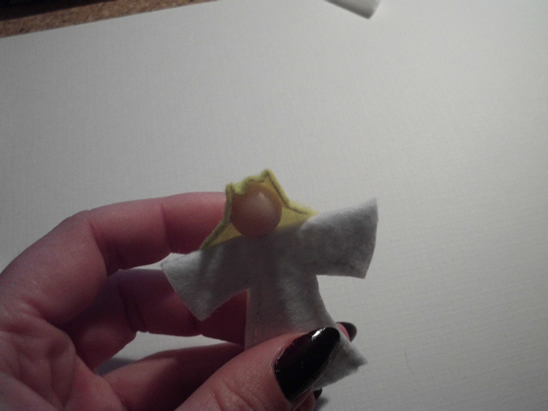 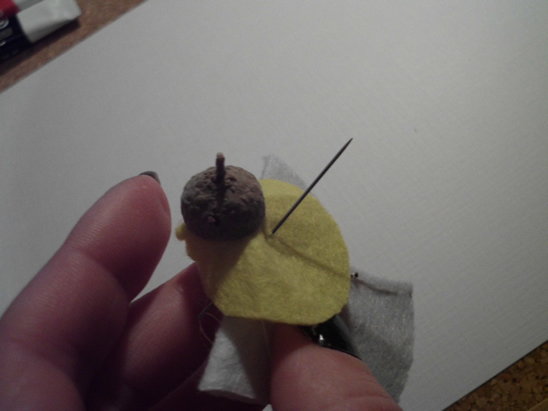 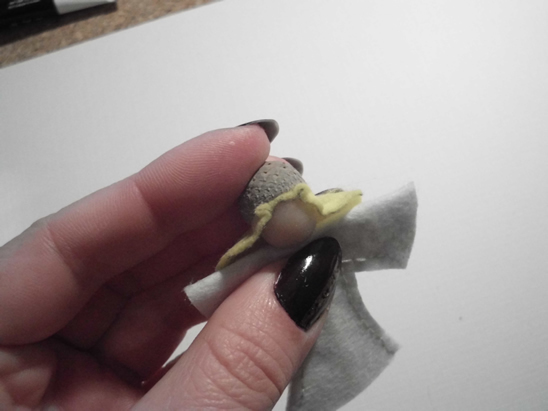 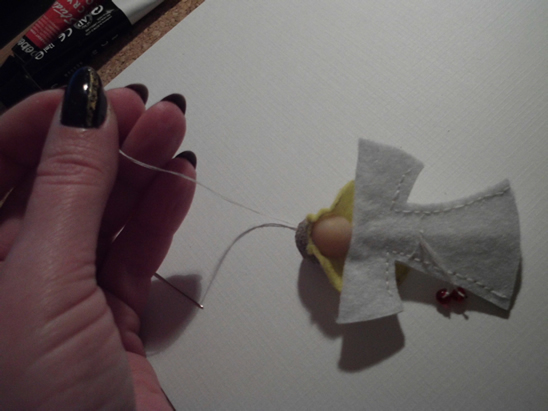 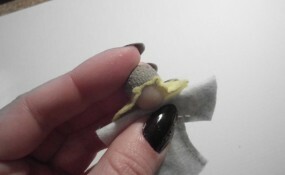 … and fix it on the angel’s head over the yellow felt. 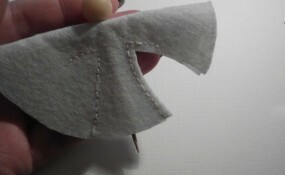 Sew this piece of thread as a belt. 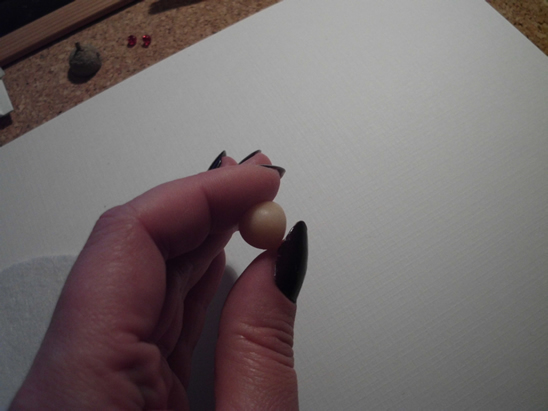 … like this. 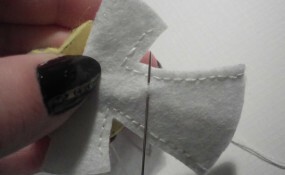 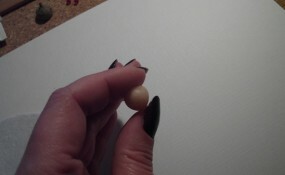 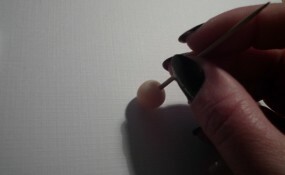 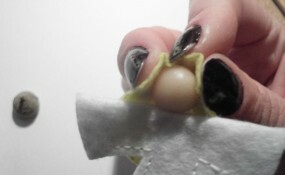 Then add another bead on the other end and tie the belt. 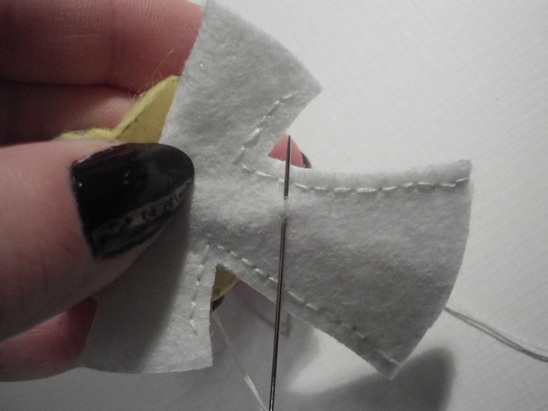 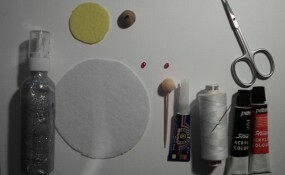 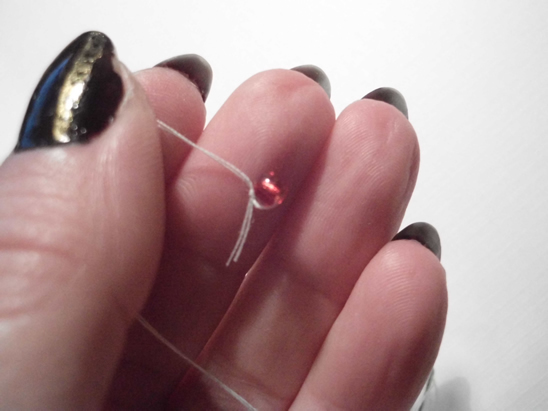 Put the needle (with thread) through the yellow felt, and make a hanger. 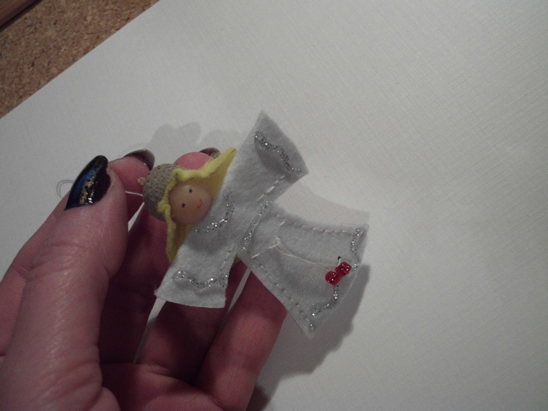 Decorate your angel with glitter glue, make eyes and mouth with black and red paint and your ornament is ready. 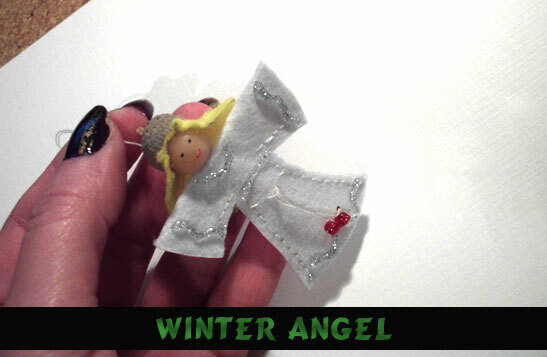 Isn’t this Winter Angel Christmas Ornament simply adorable? 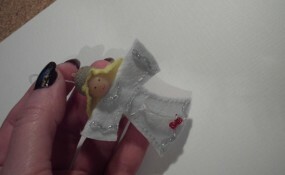 It will look beautiful hanging on your Christmas tree. 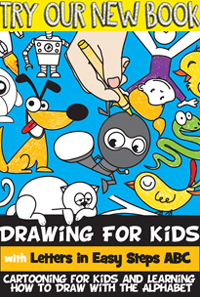 It would also make a wonderful gift to a friend or family member.